Chaishop: Dear Ness, thank you for taking the time for this interview. 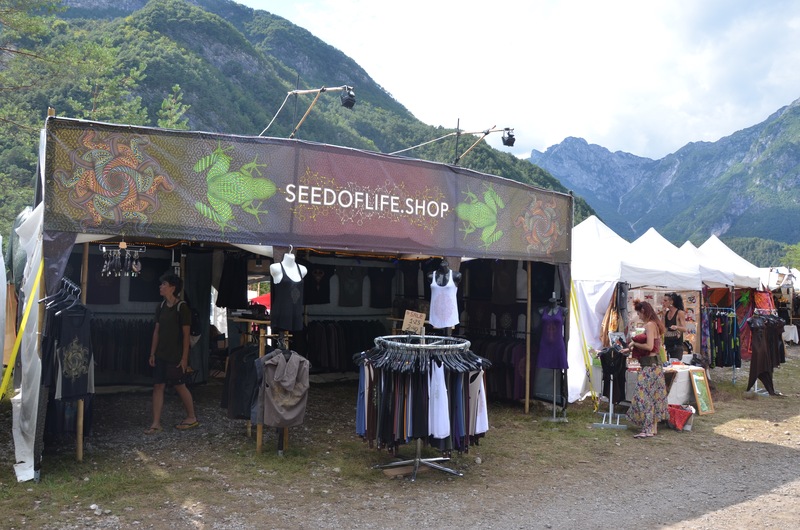 Many people have seen your artwork and the SEEDOFLIFE.SHOP on festivals like Ozora and Boom. What kind of products are you creating, producing and selling? 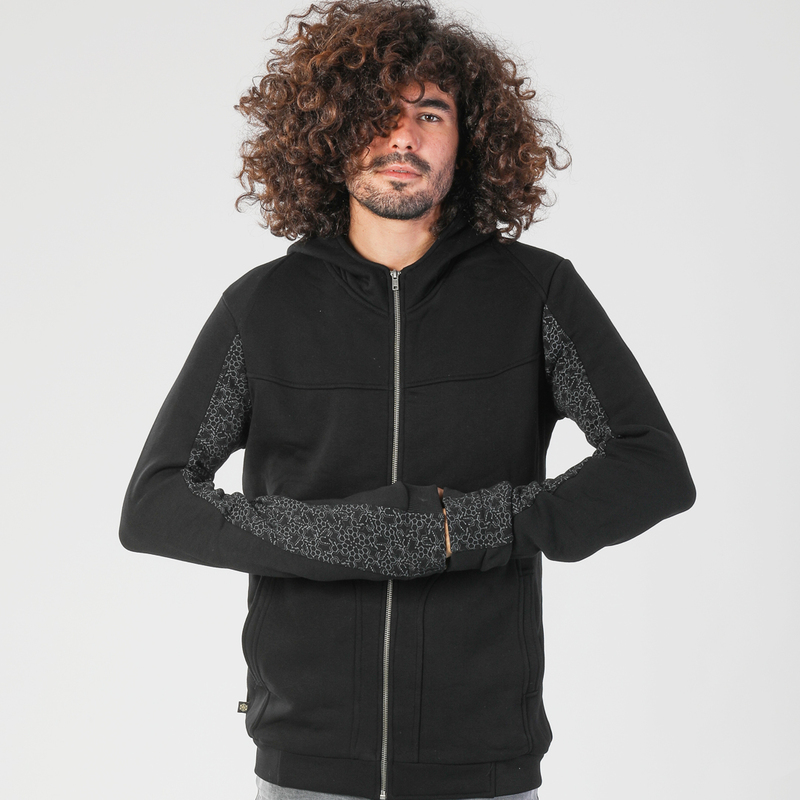 Ness: Hi, we are producing clothes and bags. T-shirts, tank tops, vests, hoodies and button shirts for men. 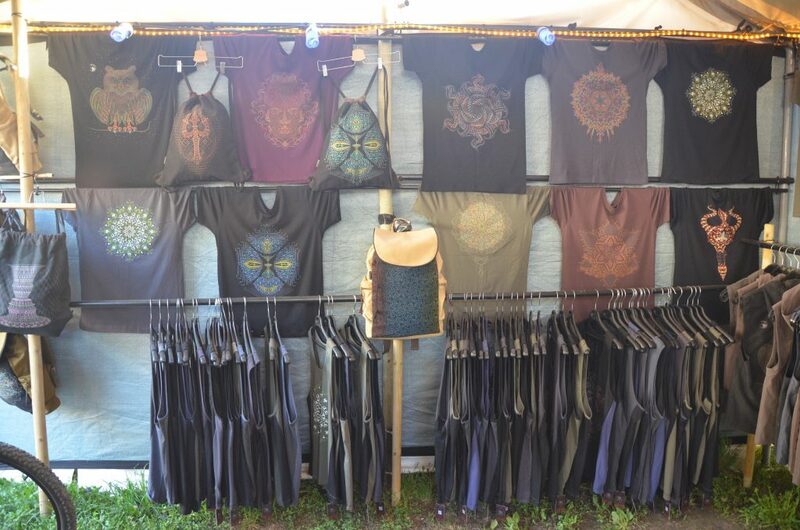 For women: tops, tunics, dresses and leggings. 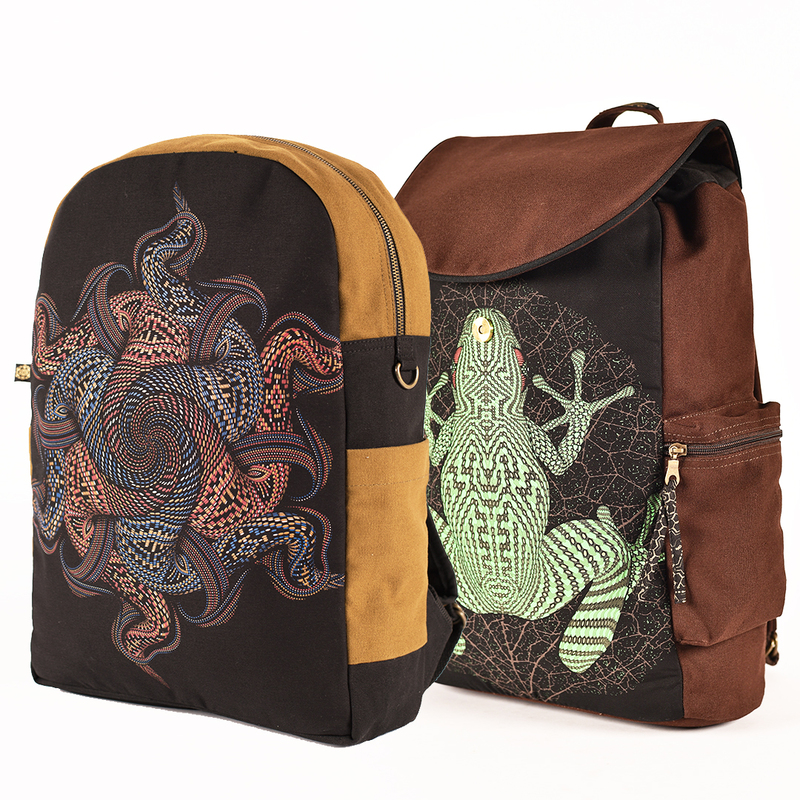 Bags from drawstrings to laptop backpacks, cross body, messenger, wallets, belts and cushion covers. 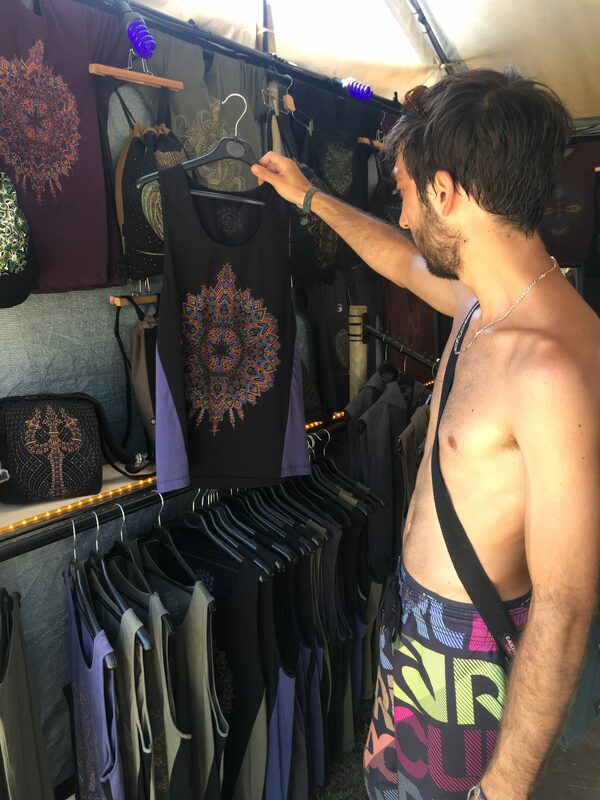 Chaishop: Your style is very unique and rich in details. Is there a all-time bestseller design people love the most? Ness: I can’t really point on one design that is a bestseller. There are waves of new ones and even old ones that people still looking for. 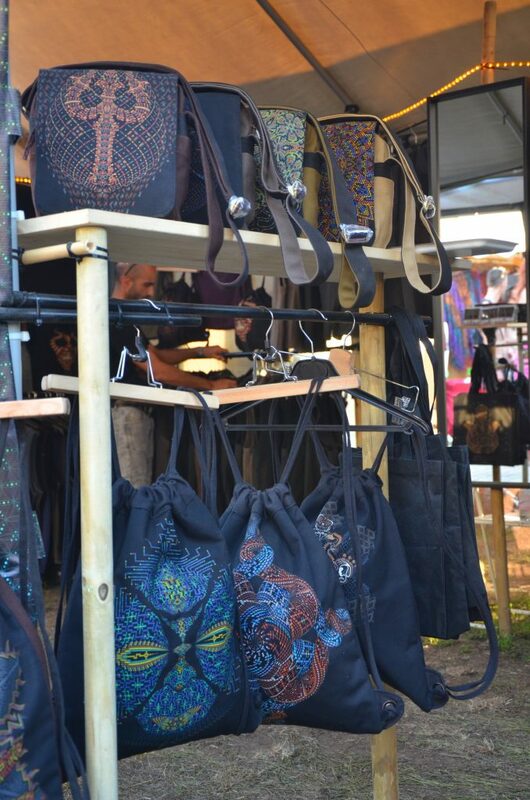 Chaishop: Are your designs available on festivals only or also in stores? Which festivals can we meet you next? 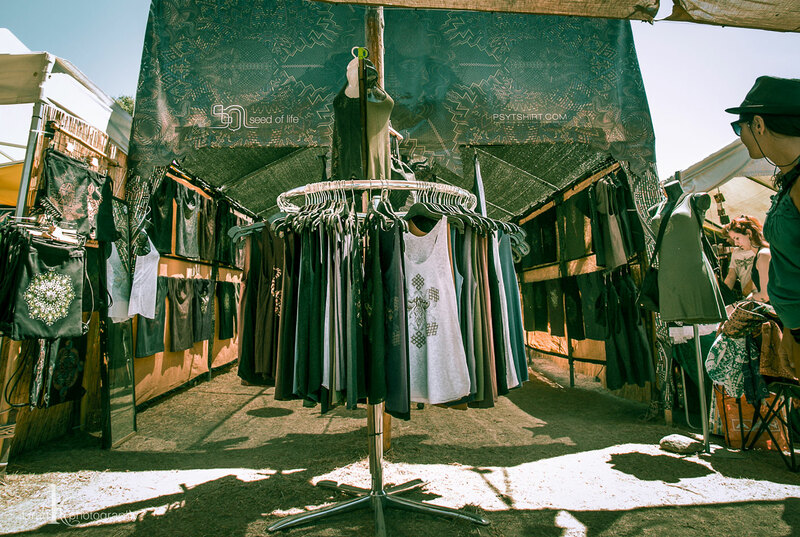 And can you name some cities where your designs are available in stores and boutiques? Ness: First of all our root shop is at the Goa markets since the beginning. Flea market on Wednesdays and Saturday Night Bazaar from mid of November till mid of April. 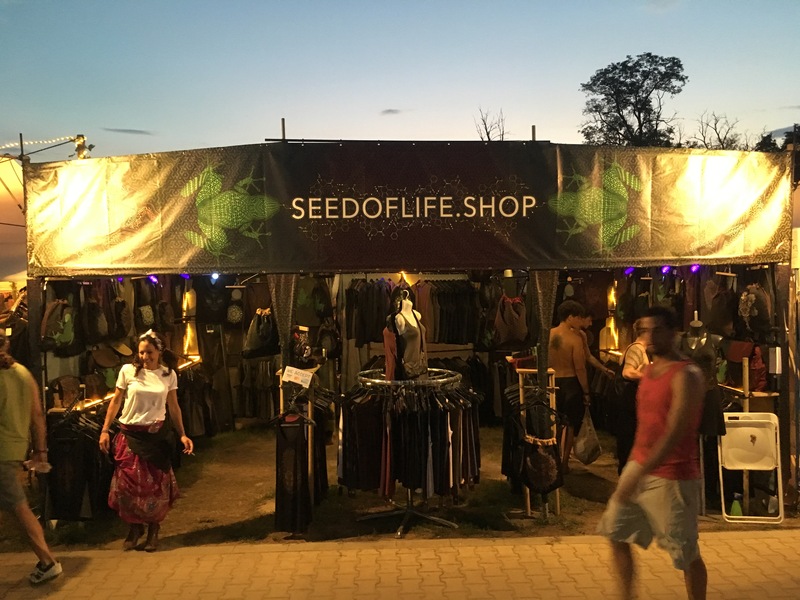 For summer festivals you can find us at Ozora every year and some other small ones. You can follow this via our news in the blog. Psy7 in Berlin. India-Style in Moscow. 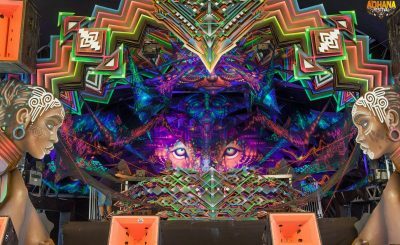 Psychonaut in Montreal. Waltreis in Switzerland. Nomad Gnome in Australia. 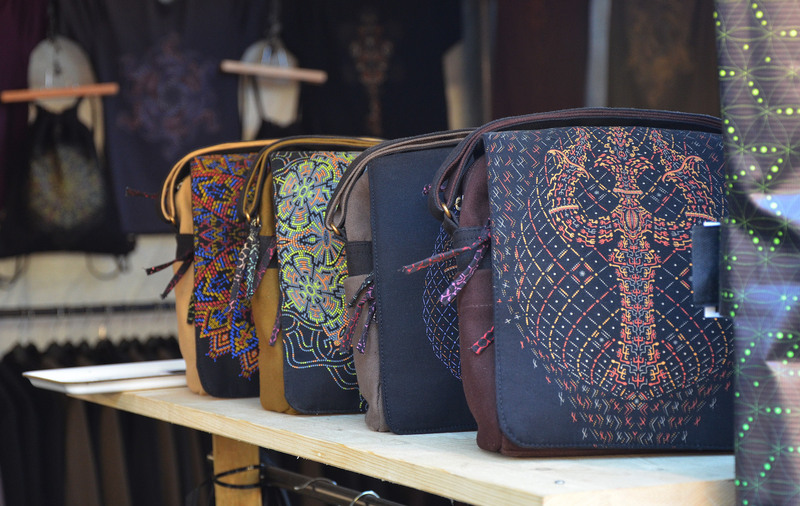 Two Shops in Israel – Bolenat – in Tel Aviv & GoodStuff in Ashkelon. There are few more that are selling but those are the main ones. Chaishop: Do you want to send out a specific message or is there any kind of mission behind your brand? Ness: I believe creativity is medicine for our brain and soul. There are sacred moments in creativity and once you discover it you want more and more. Of course there are many aspects of running a small brand like SOL. I’m not sitting and creating all the time, but I believe each one of us got a pinch of it and can discover it. Silence, confidence & constancy are the main keys to it. After and before, everything around us is ongoing creative energy that constantly amazes us. Chaishop: Are you currently working on a new design? Can you tell us a little bit about it or do you keep your work in progress in a secret realm? Chaishop: Your button shirts look like you could wear them on a blasting festival and at the same time on a wedding or formal event. 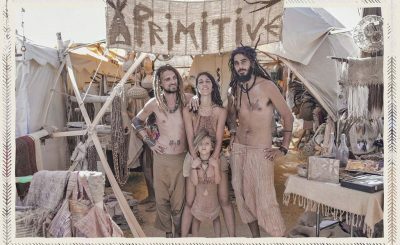 Do you think there is a wave of sub-cultural influences splashing into the mainstream world?